mAh per display square in. 254mAh/sqrin. This phone (AKA Huawei View 20) is one of the world's first smartphones to feature an in-screen front camera (25-megapixel), eliminating the need for a screen notch, while it possibly finds itself alongside some of the best camera phones with its 3D dual-lens rear cam (48-megapixel main lens plus dedicated 3D lens). 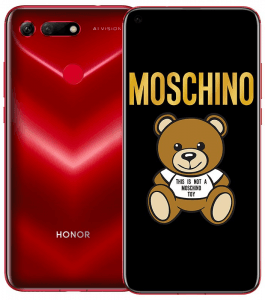 Besides, it also is among only a few 2018 smartphones to feature a liquid cooling system alongside a high-octane 2.6GHz octa-core engine and 8GB's worth of RAM. Also known as Huawei View 20. 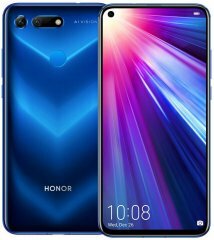 Pros & Cons The Honor View 20 throws together flagship-class specs like a 3D-enabled dual main camera and a 25-megapixel in-screen selfie cam, but it somehow lacks a memory card slot and settles for a 1080p-only screen sharpness. We examine its assortment of pros and cons here. (more) More Huawei phones See all the recent Huawei phones.